Braxton Beverly was told he has to sit out a year and then lost an appeal. Finally, the NCAA has come to its senses. RALEIGH, North Carolina (WTVD) -- There's no other way to put it - the NCAA finally came to its senses Tuesday and will allow NC State guard Braxton Beverly to play this year. Based on additional information, NCAA staff reconsidered and granted NC State’s transfer waiver request for Braxton Beverly, allowing him to compete immediately. Twice before, it had denied his appeals for immediate eligibility. Beverly will suit up for the Wolfpack at PNC Arena on Tuesday night as they play Bryant. Beverly had become the cause du jour of the college hoops scene, drawing outspoken support from the likes of ESPN's Jay Bilas and Dickie V.
Having spoken to Beverly's attorney, Scott Tompsett, my sense was always that public pressure would eventually force the NCAA's hand more than any further legal wrangling. His case was cut and dry and should never have taken this long. How could you penalize a kid athletically for getting a jumpstart on his academic career at Ohio State? In the end, the NCAA couldn't justifiably do that. "Braxton is absolutely thrilled with the NCAA's decision to make him immediately eligible to compete for NC State this season. He'll be suited up and ready to play in tonight's game against Bryant. Braxton wants to thank the NCAA for carefully considering NC State's Request for Reconsideration and permitting him to play this season. He is very grateful. Braxton also appreciates the public support he's received from so many people across the country and the media outlets that have reported on his case. Braxton is ready to compete for the NC State Wolfpack!" 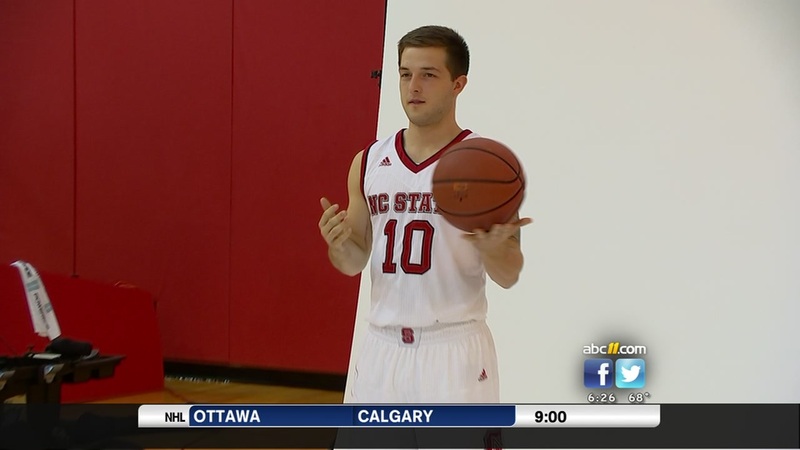 Hear from NC State's Braxton Beverly after his first game with the Wolfpack. Beverly figures to be a reserve for the Pack this year, so this was never about the prominence of his role with the team. It was about right and wrong. Right finally arrived, just two games later than it should've. Coincidentally - Kevin Keatts received a commitment Tuesday from JUCO forward DJ Funderburk. Funderburk was briefly a teammate of Beverly's at Ohio State and before that, Hargrave Military Academy. Current Pack assistant coach AW Hamilton coached the duo at Hargrave. It's a family reunion! (Once Funderburk arrives next year anyway). DJ was once a top 100 recruit out of the Cleveland area. He was kicked off Ohio State's team this summer after a redshirt year. Now playing at Northwest Florida State, he'll join NC State next season as a sophomore.